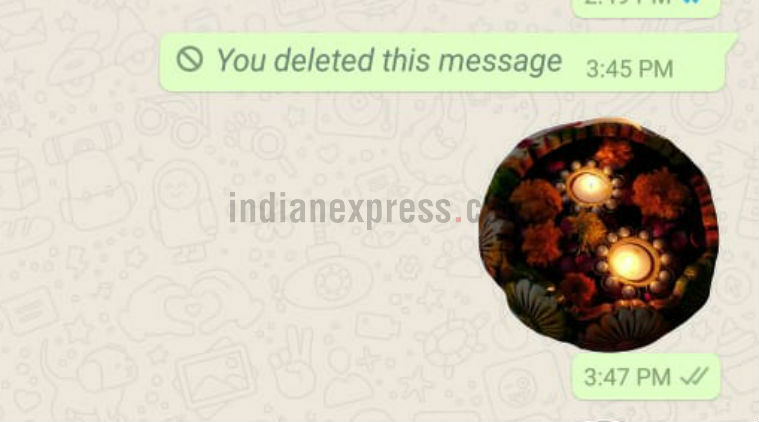 WhatsApp Stickers for Christmas: The latest offering from this app took India by storm during Dhanteras and Diwali. This was amply clear from the massive number of messages that were exchanged by users. Now, Christmas is looming large and people are all set to shoot off their messages again. Fortunately, WhatsApp Stickers for Christmas can be turned into unique messages too and all users have to do is wave the magical wand that has been put in their hands by the app. The result is so unique that you will have unique cards that no one else will have. In this world of mass produced look-alike goods, this is an amazing power to have. WhatsApp Stickers for Christmas are open for both Android and iOS users and they don't have to hold back at all to express their feelings and send greetings to their near and dear ones. 4. You should enter the sticker pack's name and author. This process is just for descriptive purposes as it won't be accessible to other WhatsApp users. In case, you do not want to create your own WhatsApp stickers, then the app also provides inbuilt stickers which you can download from the platform itself. Notably, WhatsApp is also rolling out stickers in regional languages including Malayalam, after launching this feature in English and Hindi. 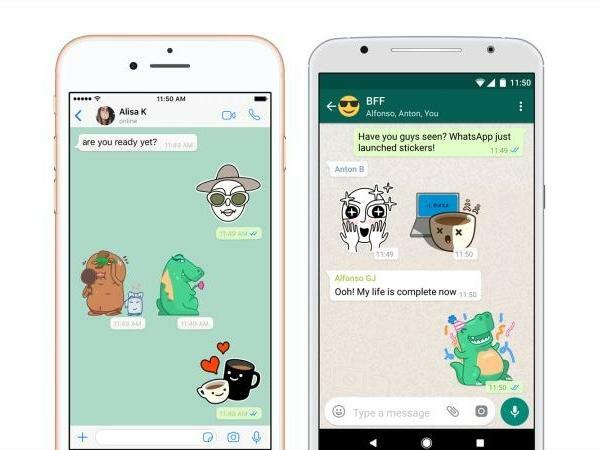 Instant messaging app WhatsApp recently rolled out its Stickers feature for both Android and iOS users. The feature also gets a Sticker store to download more new stickers like other instant messaging apps. However, in the beginning, there were only a few stickers available in the store. The WhatsApp Sticker store currently has thirteen sets of stickers including the preinstalled ones - Cuppym Salty, Komo, Bibimbap Friends, Unchi & Rollie, Shiba Inu, The Maladroits, Koko, Hatch, Fearless, Banana and Biscuit. Apart from these users can also download more stickers from the Google Play Store. In this short time period, we have seen the Sticker marketplace growing and more and more sticker packs being added almost every day. Apart from this, there are a few workarounds that also allow users to create their own personal stickers (In case you want to create your own custom stickers here's our how-to guide). That being said, there are several new stickers to download from Google Play Store such as Diwali Stickers and more. The same way, the app store has now got the Love Stickers for WhatsApp where users can send exactly what the name suggests. Wondering how to go about it? Follow our step-by-step guide. To create your own sticker packs, Android users will need to download the ‘Sticker maker for WhatsApp’ app from the Google Play Store. Once the app is downloaded, click on the “Create a new sticker pack” option. The app will ask to enter the sticker pack’s name and author. Now, a new page that lets you add up to 30 custom stickers of your own will open. However, the icon on top will be the tray icon or the icon which will appear as an identifier for you sticker pack in WhatsApp. Do note that the tray icon will not appear as a sticker. Now, click on ‘add sticker’ icons to start creating your own, custom stickers from the gallery. Users can choose photos from Google Photos or their gallery, drive etc to create stickers. Once an image is chosen, it can be cropped to select the portion one wants as stickers. Of course, cropping is not very precise when you do it with your finger but the results are acceptable. You can also restart cropping if you go wrong somewhere in between. Once done, it will be added as one of the stickers in your sticker pack. You can add up to 30 stickers in one sticker pack. However, the flip side is you will need to add all 30 stickers at once as the pack cannot be edited once published on WhatsApp. You can publish with lesser stickers also, but cannot add more to the pack upon publishing. For instance, I published my sticker pack with four stickers and to add more of my own stickers on WhatsApp, I will have to create a new sticker pack. Finally, click on ‘Publish Sticker Pack’ option at the bottom right corner and confirm to publish. The sticker pack will automatically get added to WhatsApp and only you will be able to send these stickers across to your contacts and friends. Your sticker pack in the app will be identified with the tray icon that you added at the beginning. To the recipients, the stickers you send will appear with the sticker pack’s name as well as author and they will be able to forward this to their contacts. WhatsApp has started testing emoji 11.0 in its app among Beta testers on Android. The company brings a new and revamped Emoji collection to WhatsApp Beta on Android. Check the screenshot of the new Emoji collection below. In case you are enrolled in the WhatsApp Beta program you can update to the latest version from Play Store to get new Emoji collection. In a bid to improve the chatting experience, Facebook-owned WhatsApp has rolled out stickers feature to help users share feelings that can't be expressed in words. 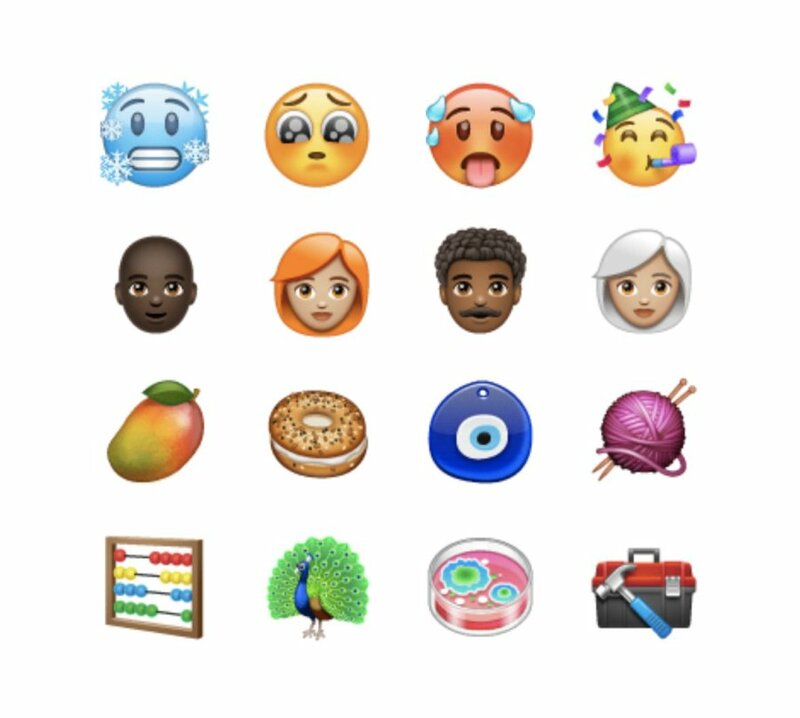 On its official blog, WhatsApp said, "From emoji and camera features to Status and animated GIFs, we’re always looking to add new features that make communicating with friends and family on WhatsApp easy and fun." "Whether with a smiling teacup or a crying broken heart, stickers help you share your feelings in a way that you can't always express with words," it added. 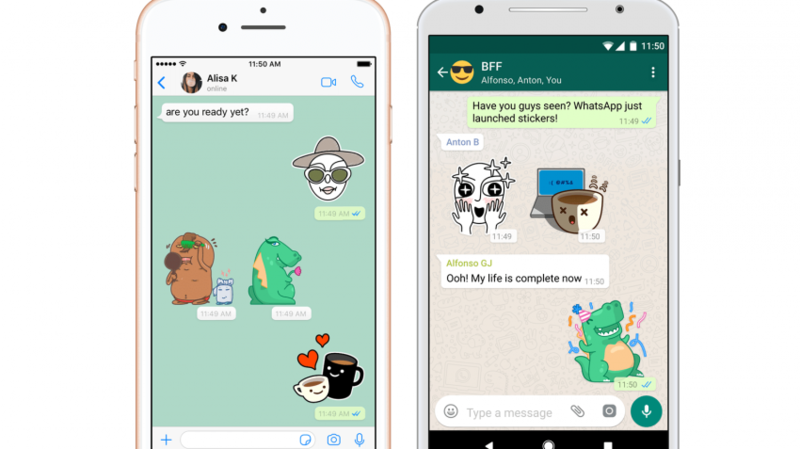 Initially, WhatsApp has introduced sticker packs created by its designers and a selection of stickers from other artists. The chatting app also supports third-party sticker packs that will allow designers and developers around the world to create stickers for WhatsApp. Infact, you can create stickers of your choice for WhatsApp. For this, WhatsApp has included a set of APIs and interfaces that allows a user to build sticker apps that add stickers to WhatsApp on Android or iOS. A user can can publish her/his sticker app like any other app to the Google Play Store or Apple App Store. WhatsApp said, "users who download and install your app will be able to start sending those stickers right from within WhatsApp." The new feature is still not available for all android, iphone users. 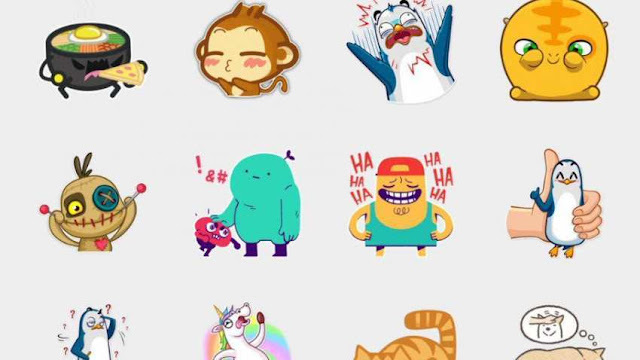 WhatsApp has said that the stickers will be available soon for Android and iPhone, the Facebook-owned company has said. Jio Phone users may have to wait for long to enjoy the sticker feature. JioPhone is based on KaiOS operating system. WhatsApp has not yet made any announcement about stickers for JioPhone. - Each sticker should be an image with a transparent background. - Stickers should be exactly 512x512 pixels. - The size of each sticker must be less than 100 KB. For tips on reducing the file size of your stickers, see the README files associated with the sample apps. WhatsApp has been introducing new features to its platform from time to time in order to improve the overall user experience and the one reason why WhatsApp has become the most popular instant messaging app around the world has everything to with all these new WhatsApp features. Interestingly, WhatsApp was developed as a basic messenger for all, but it has now become one of the most trusted modes of communication be it in your family, friends or even your in your profession. Now, WhatsApp has introduced a long-awaited feature called the WhatsApp Stickers with which users will be able to express themselves better with the help of stickers apart from images, emojis, gifs and more. While WhatsApp stickers are expected to make the Facebook-owned platform even more appealing to the users, here, we take a look at all the new WhatsApp features recently introduced which are said to improve the overall user experience to multifold. 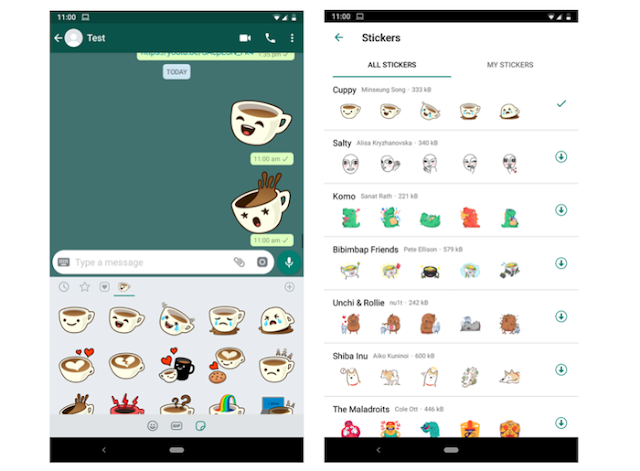 WhatsApp has started rolling out the new stickers support for Android and iPhone users and while there are 12 default WhatsApp sticker packs, users can also download third-party sticker packs directly from Google Play. The Private Reply feature was recently introduced for Android beta users with version 2.18.355, and it allows you to privately send messages to a member in a particular WhatsApp group without letting other members in the same group know. In order to use this WhatsApp feature, you will need to download the latest version of the Android beta app. When it comes to new WhatsApp features, the messaging platform has also introduced the "Silent Mode" feature which essentially hides the notification dots for muted chats. Users won't see how many new messages they have received in that chat from the app icon on their Android smartphone, once they have enabled this feature. Reports suggest that this feature has already been enabled by default while there is no option to turn it off from the Settings menu. The Picture-in-Picture video mode was first introduced for iOS users and this new WhatsApp feature has now been introduced on Android OS as well with beta version 2.18.301. This feature essentially allows users to watch Instagram, Facebook, and YouTube videos within the messaging app itself through a small window. Users will also be able to tap on a YouTube link in order to open the video on YouTube. From November 12, all your WhatsApp backups won’t be counted against the limited Google Drive storage of 15GB and you can enjoy unlimited WhatsApp backups without worrying about the Google Drive storage limit. It is worth noting that WhatsApp media and messages backed up on Google Drive won’t be protected by WhatsApp's end-to-end encryption rather, they will be protected by Google’s encryption. 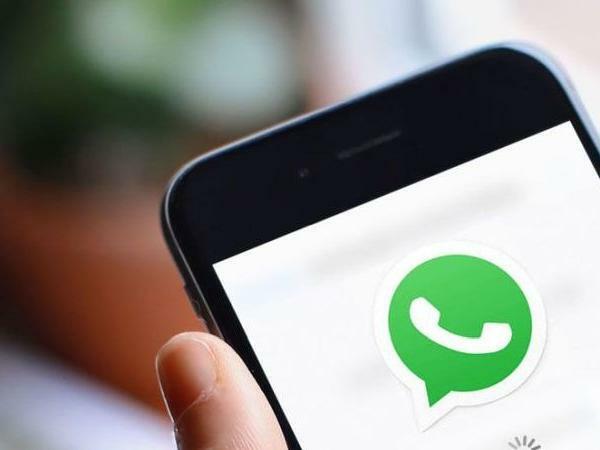 WhatsApp was launched as a basic instant messaging app with an aim to bring people to connect with each other, however, the Facebook-owned app has come a long way as WhatsApp has become the most popular messaging app in the world with a host of other features. The latest WhatsApp feature to be made available for Android and iPhones (iOS) users are the Whatsapp stickers, which are said to improve the overall user experience. There is no denying the fact that emojis, stickers, and gifs have become a more popular way to express your feelings and while other messengers such as Hike Messenger and WeChat introduced sticker packs years ago and now, Whatsapp sticker feature has been made available for both Android and iPhone (iOS) users. 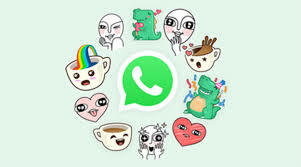 WhatsApp has launched 12 sticker packs for its users and the messaging platform has also posted a guide which will allow users to create custom stickers while they will also be able to download third-party sticker apps on Android devices from the Google Play Store. Update your WhatsApp app through Google Play Store or Apple App Store. Tap on the update option. The size of this update will be around 30MB and after the updating process is finished, open the WhatsApp app on your smartphone. Go to any chat thread and tap on the emoji button which is placed next to the type box. At the bottom, there will be a new category of Stickers along with emoji and GIFs buttons. Tap on the stickers icon and choose a WhatsApp striker you want to send. It should be noted that iPhone (iOS) users will find the WhatsApp stickers option at the right corner of the text tab. After tapping on it, you will find the WhatsApp sticker packs to send to any chats. WhatsApp is today finally rolling out a long overdue feature every one of its competitors has been offering for ages — stickers. Yes, after months in testing, everyone can now natively send stickers on WhatsApp apart from GIFs and emojis. Stickers on WhatsApp are similar to what you’ll find on other messaging apps. You can choose from a bunch of sticker packs and spam your friends’ chat windows with huge, goofy cartoons. 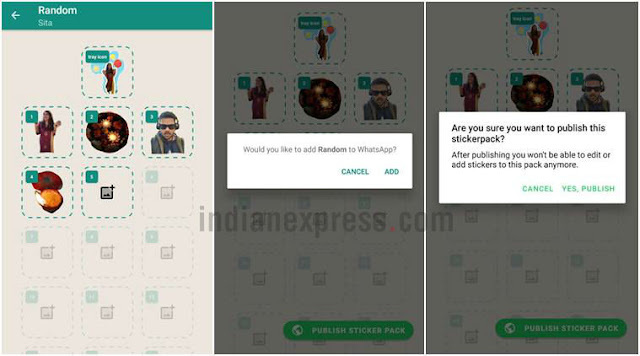 For now, WhatsApp offers a total of twelve sticker packs which you can install or uninstall at any time through the sticker store. Sadly, though, none of them are animated unlike what you have on apps like Facebook Messenger. Perhaps, that’s coming in a later update. To access Stickers on WhatsApp, you will have to tap the little emoji button on the chat bar, and at the bottom row, you will now find a third option for stickers besides the GIF and emoji tabs. By default, WhatsApp preloads only a single pack but you can grab more from the store. To add new ones, you will have to tap the plus icon situated on the top right inside the Stickers tab. WhatsApp even categorizes all the stickers based on emotions and moods such as happy, sad, love so that it’s easier for you to find the one you’re looking for. Moreover, you can long-press a specific sticker to add it to the favorites tab. If you’d like to get rid of a collection, you will need to enter the sticker store and in the “My Stickers” tab, there’s a delete option against every installed pack. At the bottom of the sticker store, an option which says “Get More Stickers” is available as well but we couldn’t get any of the third-party packs to integrate natively with WhatsApp just yet. The ones you send from those apps are simply forwarded as images. While WhatsApp is yet to officially announce the arrival of stickers on its messaging platform, the feature is already available for all iOS and Android users on the 2.18.100 and 2.18.329 builds respectively. In addition, they are also compatible with WhatsApp Web and the service’s desktop clients. Therefore, if you still haven’t received the update, we would recommend either heading over to the app store now or sideloading the APK file. If none of those ways work, you can try backing up your chats and reinstalling WhatsApp entirely on your phone.